Hilary Duff is winning at celebrity throwbacks! | HELLO! You’ll never guess who this young beauty queen is! As far a celebrity throwbacks go, Hilary Duff is winning with this one. The actress took to Instagram to share an adorable photo of her taken over 20 years ago! 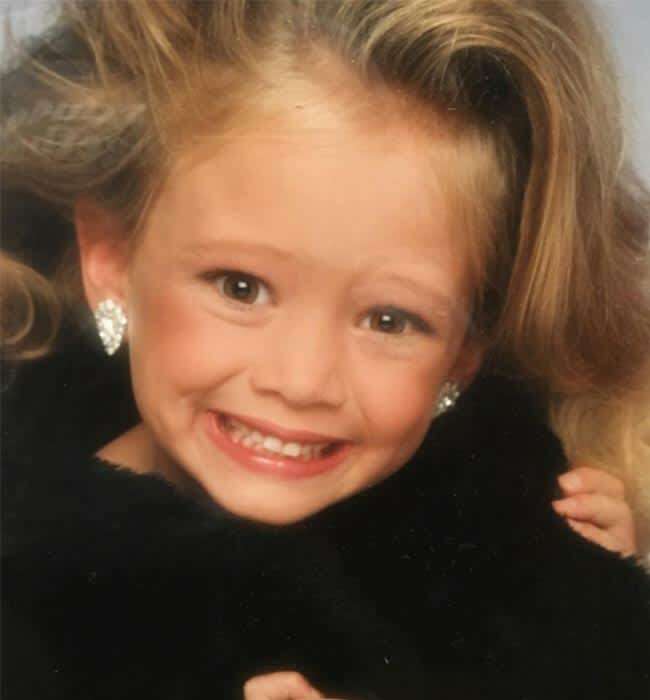 Hilary, now 28, was just six-years-old when she posed for the snap, and she seems to blame one person in particular. She captioned it: "#glamourshots #thanksmom #1993 #tb". Hilary Duff has shared the best throwback! The Lizzie McGuire actress has enjoyed a hugely successful career, and it all started out with those pageant-style pictures. Speaking previously to Australian magazine Girlfriend, she explained: "It was like modelling for bad department stores, but I loved it! Then when I saw my picture in the paper, I was like, 'Wow, that's me!'" Former child star Hilary never gets it wrong these days, but this week she was criticised by some Instagram users for an outfit she wore to take four-year-old son Luca to school. She looked casual and comfortable in a loose T-shirt and hot pants, covered up with casual trench. But some commenters insisted the look wasn't appropriate for the occasion, with one remarking: "A lady of class and substance wouldn't be caught wearing this even in her worst hair day!" Seemingly unbothered by the reactions, Hilary simply explained her reasoning behind the outfit. She wrote: "Hey moms! I came up with a semi cute outfit for school drop off! "I usually roll in sweat pants or lulu lemons and look like a disaster but this morning I managed to throw something cute together and thought I would share. Cut offs or jeans. A light weight trench over a sweater or tee, cross body bag sneaks or booties and a pair of sunnies!" Hilary added: "Now you try! Tag me in your photos. (annnnd you don't have to wear such a serious face haha)."